(1) Hey People, Could you do me a favour and take a look at this very quickly? It's an entry I made to a competition, fresh look at climate change, and it will only take a minute of your time and if you think it's worthwhile then Please vote. It's going to take more than cutting emissions to tackle climate change. Thanks! Dos Ramos wrote:Hey People, Could you do me a favour and take a look at this very quickly? I actually looked at it quite slowly. Is that OK? 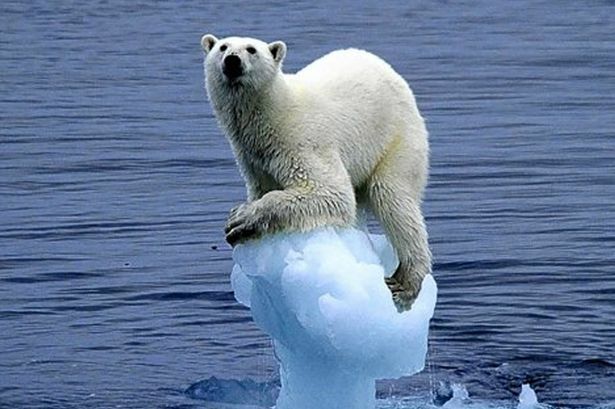 Dos Ramos wrote: It's going to take more than cutting emissions to tackle climate change. 2) How do we measure "climate" and what are the units of measure? 3) How do we know when this "climate" thing changes? 4) How do "emissions" relate to changes in "climate" measurements? Hey People, Could you do me a favour and take a look at this very quickly? It's an entry I made to a competition, fresh look at climate change, and it will only take a minute of your time and if you think it's worthwhile then Please vote. It's going to take more than cutting emissions to tackle climate change. Thanks! An novel concept. Just how many probes would feel you need to keep the entire Arctic frozen?